MuseumCompanion makes art and cultural experiences accessible for everyone. MuseumCompanion makes museums more accessible, especially for visually- and hearing impaired people. The dedicated system is universally designed for museums with the user interface on the visitor’s own smartphone. MuseumCompanion offer advanced indoor navigation at the museum and provides specifically adapted information about the museum’s attractions. Content can include text, images, audio files and sign language videos. The system is developed for use with VoiceOver. The visitors receives relevant location specific information automatically when in close proximity to an attraction. As the visitors moves around in the museum, they receives information continuously about the sights in the immediate vicinity. Indoor navigation guide the visitors to desired artwork or area, and provide general information about the surrounding. Get in touch Contact us to learn more about implementing beacon technology. As presented on NRK news November 2017. 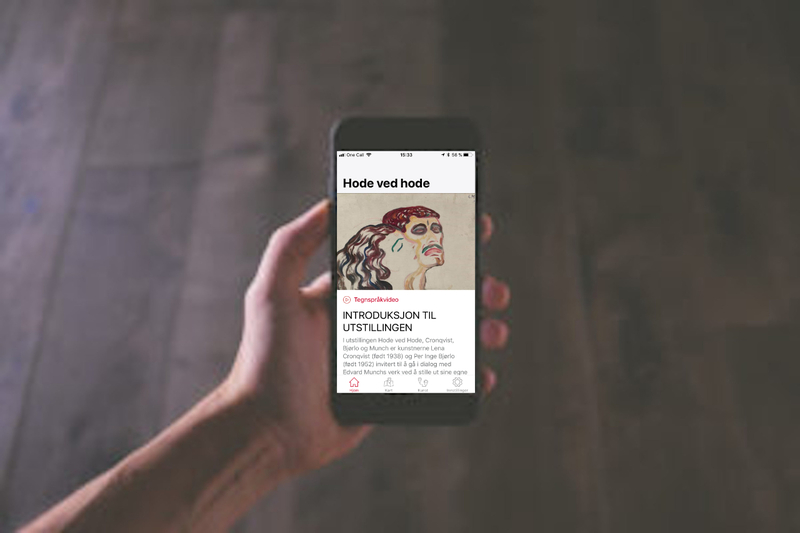 Next Signal has in collaboration with The Munch Museum developed an universal designed mobile application (app) in the project MuseumCompanion i Munchmuseet.The project is supported by Bufdir, through Deltasenteret, and focus on hearing- and visually impaired people visiting the exhibition Hode ved hode – Cronqvist | Bjørlo | Munch. The use of beacons make an interactive experience possible. The app provide audio files and sign language videos, in addition to images and text for selected artworks in the exhibition. The content are delivered directly on the users own iPhone. The app includes a map with advanced Indoor Navigation. The system is designed to be used for all visitors. The app can be downloaded in App Store.